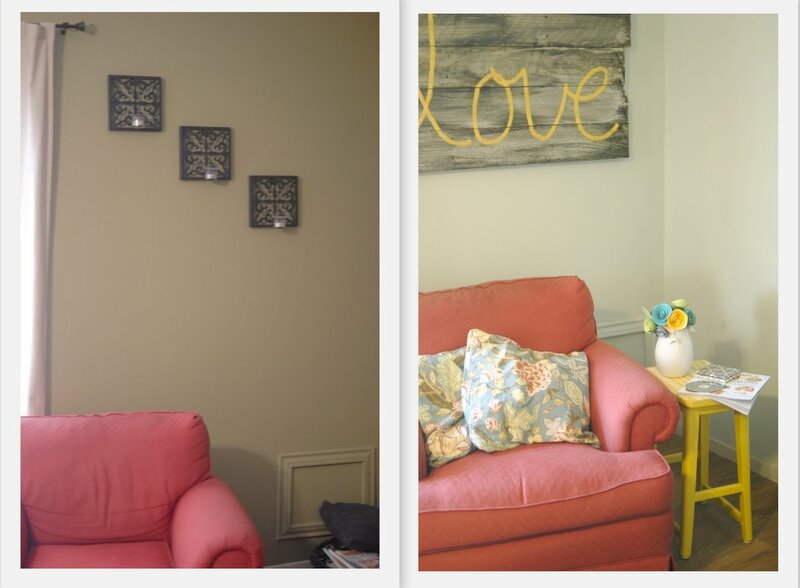 Little changes: New paint color (Benjamin Moore's Quiet Moments), LOVE Sign, yellow stool, and some pillows that I made with napkins from World Market. Cost: Around 5 dollars for the cost of the stool and paint. I got the napkins for free with a ten dollar coupon from World Market. Did you know that if you sign up with them they send you ten bucks for your birthday? I made the sign with free stuff. Impact: From simple (and a little boring) to sunny and fun! Cost: I had the mirror from my college years (I think I paid around three dollars for it!). The jute rug from TJ Maxx was $15.00 (a steal! ), but I used a gift card and got it for free. Not too bad! 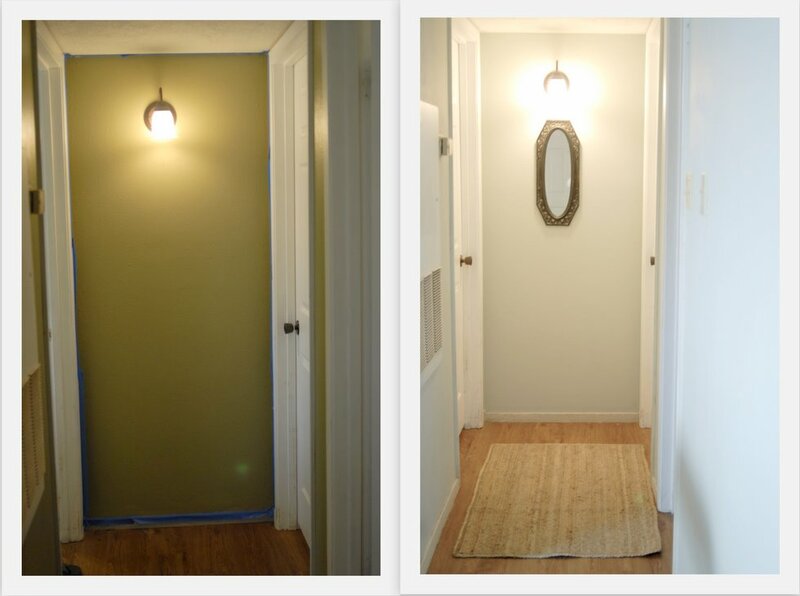 Impact: From dark and green to bright and light! Does anyone else have any little changes, low cost, big impact spaces in your home? If so, send me a link or an e-mail-- I'd love to show it off! Those changes are so great!! I especially love the yellow...what a happy color.